The United States of America (USA) has clarified the promise made by its officials during the African Union Summit in South Africa. 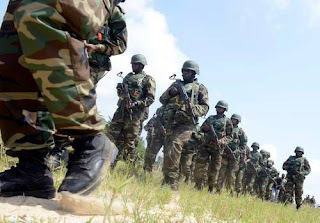 It was widely reported that the United States is offering $5 billion to the Multinational Joint Task Force (MNJTF) to fight Boko Haram. Speaking during a press briefing with Members of the U.S. Government Delegation to the African Union Summit in Johannesburg, South Africa, the Assistant Secretary of State for African Affairs Linda Thomas-Greenfield, maintained that the amount is $5 million not $5 billion. “We have just announced since I have been here at the AU, a five million dollar contribution to the Multinational Task Force. This is funding going to the AU. “We are also providing some equipment and support, and we had a number of meetings with the countries who are members of the Multinational Task Force to look at other areas that we might support”, she said. She also listed some measures that the U.S is taking in helping to ensure security in Africa “one of our largest and most important priorities on the Continent of Africa is security”, adding that “we have three. “We look for promoting security, and peace, and prosperity, but also look for development and opportunity on the continent, and they are all related to each other. But we have worked very closely with our partners across the continent to support their efforts on security assistance. “We have supported peacekeeping. We have provided training to more than 200,000 African peacekeepers. I think the exact figure is about 250,000 African peacekeepers have received some form of training or support by the U.S. government. We are also supporting the AU’s efforts in the security area. “So we have been a strong supporter of AMISOM in Somalia. We have supported the efforts of both the AU and the UN in Central African Republic. We are working very, very closely with the Lake Chad Basin countries, Nigeria, Chad, Niger, and Cameroon, to address the issues of Boko Haram. So we do have a strong partnership with the continent on security” she maintained. We have been working with Nigeria, as well as the other countries in the region, to address their concerns about Boko Haram, because we don’t see this as just a Nigeria problem. And with the new government, we are having discussions with them on how we might bolster our support. “We have already been working with them on providing information, providing some training and support, and we look to, with this new administration, to see how we might increase the level of support that we are providing to Nigeria”, she said. She also spoke on wide ranging issues concerning Africa and how the U.S government is reacting to the issues. Other Members of the U.S. Government Delegation to the African Union Summit present at the briefing held at the U.S. Consulate General in Johannesburg, include the Representative of the United States to the African Union and Permanent Representative of the United States to the UN Economic Commission of Africa; Ambassador Reuben Brigety, U.S. Special Envoy to Sudan and South Sudan, Ambassador Donald Booth and Director of the U.S. Department of State’s Africa Regional Media Hub, Camille Dawson.